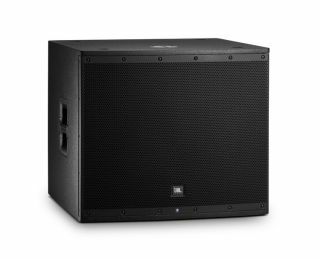 HARMAN’s JBL Professional introduced the JBL EON618S, an 18-inch, 1000 watt powered subwoofer that supports low-frequency extension and can be controlled wirelessly. The JBL EON618S is designed to meet musicians and sound provider’s demands when it comes to flexibility, portability and ease of use. The new JBL EON618S is an 18 inch, 1000 watt subwooferThe JBL EON618S weighs in at just 78 pounds, and has a maximum SPL output of 134 dB, with a frequency range of 3 Hz–150 Hz (-10 dB) and a frequency response of 42.5 Hz–150 Hz (-3 dB). DSP parameters, including presets for EON600, EON200 and other manufacturers’ full-range loudspeakers, can be controlled via a Bluetooth app for iOS and Android. Selectable crossover presets are available through the EON Connect app. The JBL EON618S is tuned for optimal performance with the JBL EON610, JBL EON612 and JBL EON615 full-range systems. The JBL EON618S includes handles, a standard M20 threaded pole cup and has a rugged enclosure.